Do you work outside the home? If so, what do you do? I am a Global Operations Manager for IBM Corp and have worked for the company for 37 years. We celebrated 38 years of marriage this past July! We have traveled to over 30 countries doing missions work. I am a grandma to 3 amazing boys! What benefits has Connecting for Kids brought to you and your family? CFK has provided a wealth of information on autism and sensory issues. I have been able to share what I learned with my daughter and it has opened up how I respond with my nonverbal, autistic grandson. We have learned how to play and how to take family outings being mindful of situations that would make him uncomfortable. I am sharing what I learn with anyone who will listen! I'm committed to being an advocate for him and other families with special needs. Which have been your favorite Connecting for Kids resources? Coffee and Chat sessions are amazing. A wealth of information is always provided. 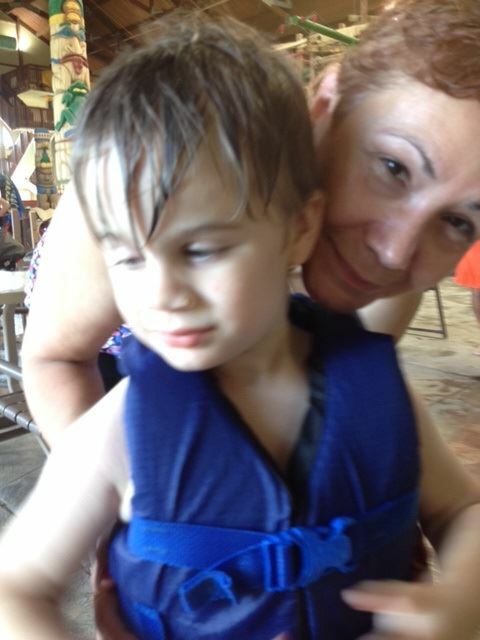 I learned that although Simon is nonverbal and autistic, he is very smart, understands and does respond. I just had to take the time to see and hear the world from his perspective. We are using American Sign Language (ASL) and Applied Behavior Analysis (ABA) as a family and I'm thrilled at not only his progress but also the delight he expresses when he is with me. I truly learned that I can have a wonderful relationship with him as I do his older brothers. I have more compassion and understanding now of the challenges that families with special needs face. I look for ways to help not only my daughter but other families. At times that may be just to provide a shoulder to cry on, a listening ear, a meal, baked goodies or providing an evening out. I am always amazed at how much I learn and the love I receive from these special kids. I worry about my daughter and her husband. They live this 24/7 and there are times it is stressful along with financially challenging. I also worry about my two neurotypical grandsons. They are super supportive of their little brother but often express concerns and fears about his future. We'd love to know if you have any go-to resources such as blogs, websites, or books that we can share with other parents. I read and follow anything from Dr. Temple Grandin. Is there anything else about your journey that you would like to share with others? As a grandparent I would encourage other grandparents to learn as much as possible and to observe their grandchild and appreciate their amazing uniqueness. Connect with your grandchild at the child's level. Then support your son or daughter and their spouse. Be creative, provide date nights, meals, and always be ready to listen. Allow them to parent and respect them. Faces of Connecting for Kids (CFK) is a monthly feature that appears in our subscribers-only eNewsletter. The parents profiled in Faces of CFK have provided their information to help others walking a similar path to know that they are not alone. If you are interested in providing your own profile for a Faces of CFK feature, please complete this form.